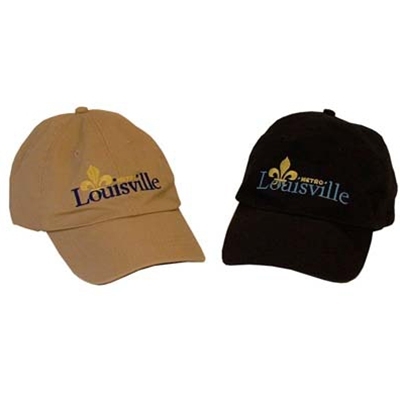 This unstructured cotton twill cap featuring the Louisville Metro logo has an adjustable headband, and looks great paired with one of our Metro logo tees or sweatshirts. A super gift for guys or gals! Available in Navy and Khaki with the Louisville Metro logo.